Cass Creek started in the spring of 2003 with one goal in mind: create realistic sounding, affordable, electronic predator and game calls. It took ten years of development before the first line of Cass Creek calls were ready, and that devotion to detail shows. Their annual product return rate is less than one percent! Game calls, such as duck, moose, and many others, are just as important to Cass Creek as their predator calls. They also offer a variety of scents, ranging from pure to synthetic, with uses from controlling one's own scent to attracting game. This brand is devoted to their craft, and it shows. 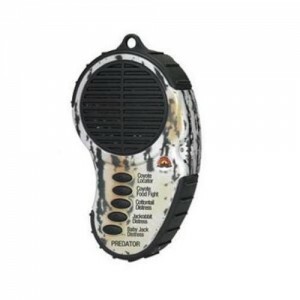 Cass Creek offers a multitude of hand-held electronic predator calls. Unlike other brands, they do not offer calls that you set and control from a distance with a remote, with the exception of one. 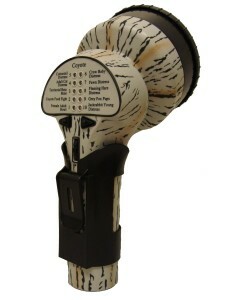 Cass Creek's entry level predator call, the Cass Creek Electronic Predator Call costs around $30. 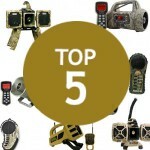 It is extremely compact and has five pre-programmed game calls, using recordings of real animals. 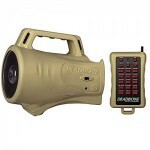 It is designed with woodland camo and resembles a walky-talky, which leads to easy hand-held grip. The only negative is that to repeat each call cycle, the user must press a button. 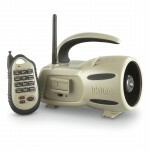 If Cass Creek's cheapest call does not do it for a hunter, the next step up is Cass Creek's Mega Amp Coyote Game Call. At approximately $36 (only $5 more), it brings more volume and ten total calls to choose from, despite what its namesake suggests. 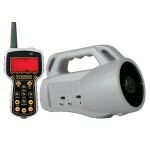 It is shaped like a megaphone, accentuating its design for loudness. If you are looking for a Cass Creek call that is more similar to other brands, the Cass Creek Nomad is right up your alley. It costs $69 for one receiver and transmitter. 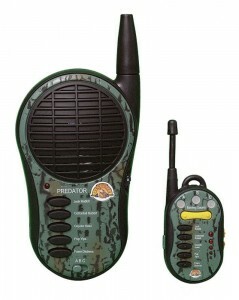 The receiver is similar in design to their basic predator call, while the transmitter is like a remote. 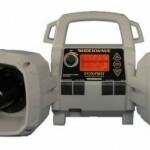 The difference between the Nomad and a traditional predator call, however, is that you can connect up to three different receivers at once, simulating an animal making calls as it travels. Extra receivers must be purchased separately.